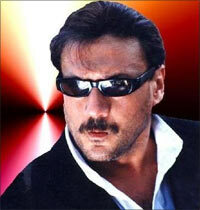 Jackie Shroff, who turned 55 on February 1, spent his birthday in Chennai with Tamil superstar Rajnikanth. The actor is doing a cameo in the latter's new film Kochadaiyyan. Jackie said, "Rajniji's daughter Soundarya is directing this film with her dad in the lead. She asked me to make a cameo appearance. I immediately flew down to Chennai. When it comes to doing anything with Rajnikanth, one doesn't ask questions. One just does the needful." Jackie and Rajni go back a long way. "There was Rajniji, Subhash Ghai, Dimple Kapadia, Anupam Kher and a few other friends at my wedding, that's it. So I have very fond memories of Rajnikant and would never say no to anything to do with him or his family," he adds. According to Jackie, it's an interesting cameo which Soundarya insisted only he could play. "I believe the film is being made in Tamil, Telugu and Hindi. But even if it was in Swahili, I'd run and do it for Rajnikanth." The actor had to rush to Chennai after barely a few hours of sleep. "My birthday is generally a very quiet affair. My rakhi-sister Anna Singh came home. Then we went to Ritesh and Genelia's sangeet and that's where I brought in my birthday. I flew to Chennai for Rajniji's film early the next morning. I can't think of a better way to spend my birthday."